Here is the domain of the mad gods. In the early 2050s, unknown life forms called “Oracle Cell” begin their uncontrolled consumption of all life on Earth.Their ravenous appetite and remarkable adaptability earn them first dread, then awe, and finally the name “Aragami”. In the face of an enemy completely immune to conventional weapons, urban civilization collapses, and each day humanity is driven further and further toward extinction. One single ray of hope remains for humanity. Following the development of “God Arcs”—living weapons which incorporate Oracle cells—their wielders are organized into an elite force. 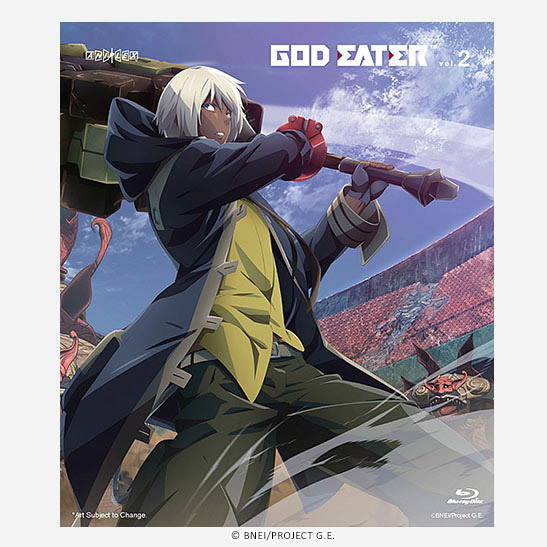 Based on the videogame hit series by Bandai Namco Entertainment, the animation studio ufotable has adapted GOD EATER into an anime. Directed by Takayuki Hirao (Kara no Kyoukai 5: Mujun Rasen , Magical sisters Yoyo & Nene). Total Run Timeapprox. 166 min. Total Run Timeapprox. 141 min. A boy who desires to regain the free world by defeating all of the Aragami. While his desire is strongly passionate, he sometimes lacks cooperation with the others. 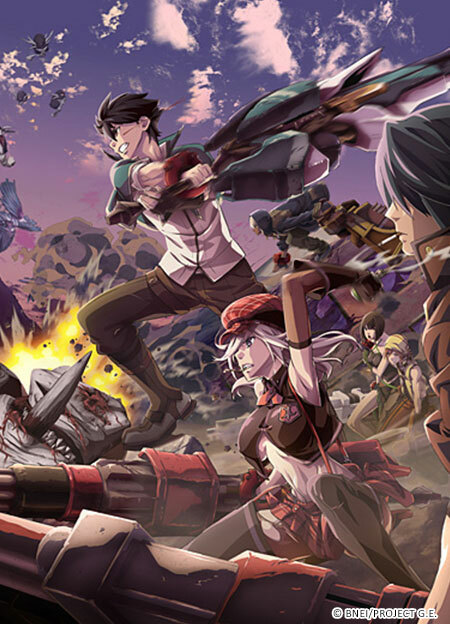 From where he is enlisted to the Far East Branch as a rookie God Eater, the story begins. The leader of the first troop of the Far Eastern Branch. 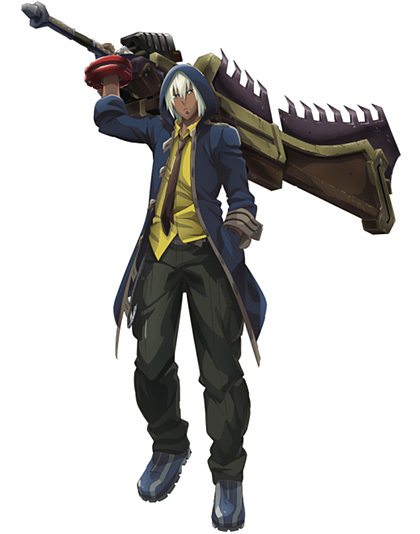 A veteran God Eater with a long career. While his personality is aloof from the world, he thinks the safe return of comrade is more important than any other issue. He has been participating in combat from early childhood, and has sharp intuition no other members have and outstanding physical ability. Since occasionally he is contemptuously called "the Reaper" from his fighting style, he has been taking a distance from the others. 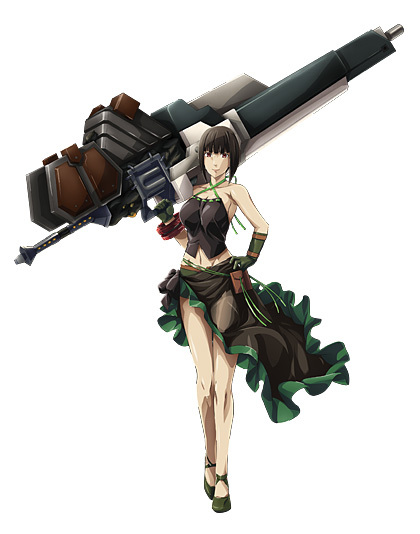 She supports Lindow as a sub-leader of the first troops of the Far Eastern Branch. For members of the troop, she is like a dependable older sister. 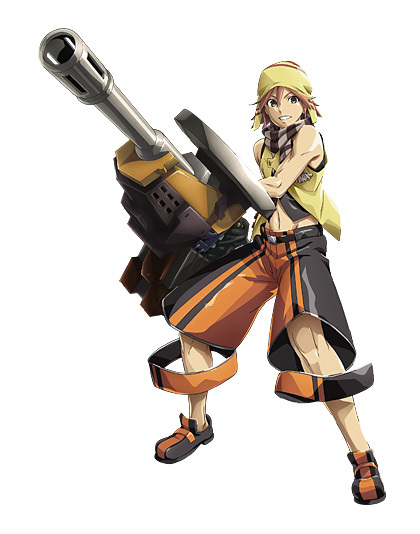 A rookie God Eater who is enlisted at the same time with Lenka. He is bright and cheerful, also always positive. He has strong feelings of caring family and friends. He is always concerning about the family who lives in residential area of the Far East branch. 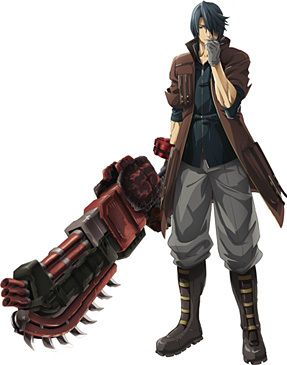 A rookie God Eater who will come from Fenrir Russian branch. She is also a wielder of new type God Arc which has transformation mechanism. Her behavior shows that she has great pride. By manipulating the "God Arc" which incorporates the same "Oracle Cell" as humanity’s natural enemy Aragami, they are the only ones who can defeat the Aragami. They are the last trump card of humanity. 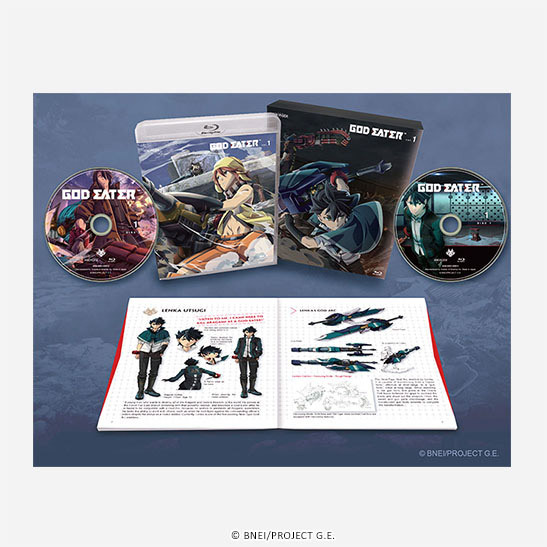 A person who becomes a GOD EATER is not just able to pilot the "God Arc" but also shown a significant improvement in physical and regenerative ability. They exert a superhuman performance. Only those who passed through the adaptability test for administering "Bias Factor" of "Oracle Cell" origin is qualified to be a GOD EATER; however, even after the adaptation, they are required periodic administration of "Bias Factor" from their right-hand bracelet. Mysterious creatures that suddenly appeared in the early 2050s and began to devour the entire world. Because of the "Devour" ability, conventional weapons have been fallen flat against them. Humanity lost the majority of its population in a short period of time and civilization was cornered to the verge of collapse. In 2071, the presence of various form of Aragami, from small to large, has been confirmed but many of its ecology are still shrouded in mystery. 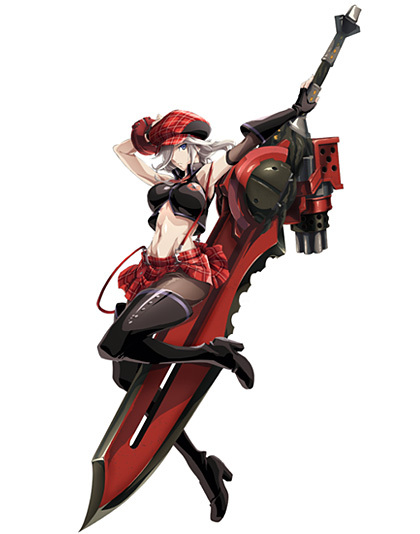 Anti-Aragami Armament which was developed in a few years after the Aragami’s manifestation. God Arc is a biological weapon that has been built in the same "Oracle Cell" with Aragami. 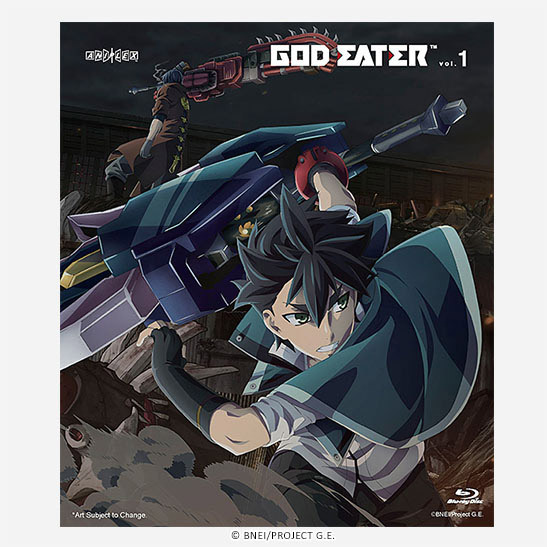 Only human beings who are adaptable with the God Arc, aka God Eaters, can wield it. 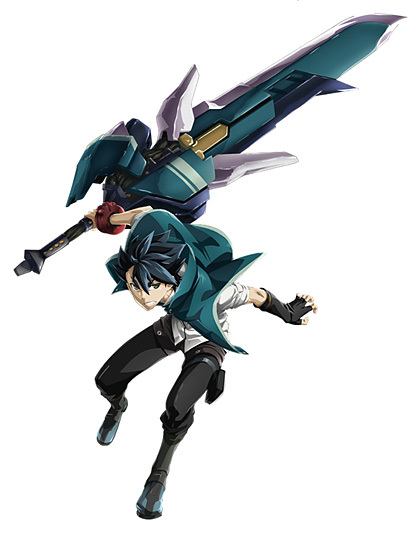 There are different types of God Arc, such as melee type of sword form and long-range type of gun form. Also the development of the next generation variable form type of God Arc has underway.